We want you to enjoy your new TV as soon as possible. Rather than messing about with cables and following loads of steps in the instruction manual, let us set it up for you. We'll attach the new TV to the stand that it comes with. We'll also tune it in, set up any Smart features and connect up all your existing kit. We’ll even take away the bulky packaging. We’ll happily take away your old TV for you and recycle it. All we ask is that it’s unplugged and ready to go. The fee for this service relates to the cost of taking your old TV away on our van rather than the recycling service. You’re getting an incredible price on a fantastic product that’s full of handy features. Not quite right? We’ve got loads more deals lined up. Check them out here. 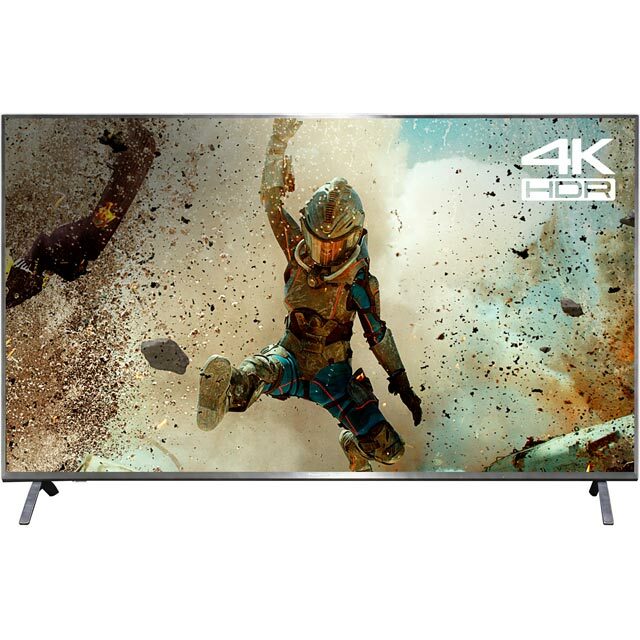 Enjoy the cinema experience at home with this 55 inch LED TV from Panasonic. 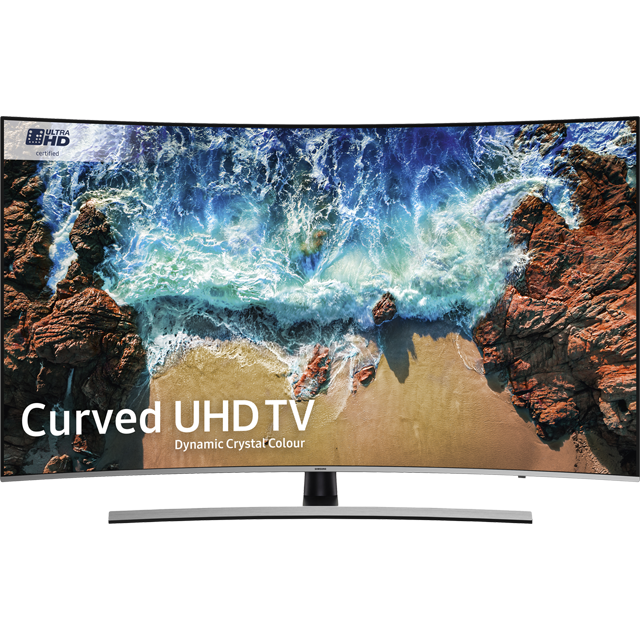 By combining a spectacular 4K resolution with upscaling technology that transforms HD content into near-4K quality, it delivers superb visuals no matter what you’re watching. The picture is further improved by HDR, which broadens the range of colours and increases the depth of contrast for lifelike on-screen action. This model also offers a range of entertainment straight of the box, including Smart TV apps and Freeview HD. Plus, you’ll be able to connect Blu-ray players and games consoles to the 3 HDMI ports or hook up an external hard drive via the 3 USB ports to put your home videos on the big screen. Make sure each film you watch looks exactly as the director intended, with a screen that has been fine-tuned by Hollywood professionals. Directors, visual artists and cameramen have tweaked the tech behind your TV, altering features ranging from contrast to the frame rate. So you’ll know you’re getting the true Hollywood experience with every movie night. Make the most of the latest films and TV shows with a 4K Pro HDR display. Packing in 4 times the pixels of a Full HD screen as well as vibrant contrast that gives you brighter whites and deeper blacks, the display recreates images in superb detail. This means it offers more natural colour and smoother pictures, so you’ll always get the ultimate viewing experience, whatever you’re watching. Make your TV the centrepiece of your lounge with an Art and Interior Glass design. The premium materials used give this model a unique, ultra-thin and stylish glass bezel. So it’ll look perfect in any modern home even when it’s switched off. Experience cinema-quality viewing thanks to the advanced HCX processor. This clever bit of tech continuously adjusts the contrast and balance on-screen to enhance your favourite blockbuster titles. The result is a picture and colour quality much closer to that which the director intended. Not all HDR is the same, with different formats used by different streaming platforms or broadcasters. This TV has Multi HDR Support, meaning that unlike other TVs, it can support both HDR10+ and HLG formats of HDR. So you’ll be able to enjoy amazing, lifelike colour across a wider range of content. This Panasonic TV gives you instant access to over 70 fantastic Freeview channels, including 15 in HD. And it’s all completely subscription-free – you just need to tune your TV in and you can start watching right away. This model also features Freeview Play, which makes catching up on your favourite shows easy. Simply connect your TV to your home broadband to access shows from the last 7 days from a range of popular channels, all in one place. Great Tv, the picture quality and sound are very good. And also watching sport in ultra hd is unbelievably good. Delivery was prompt and the call centre was extremely helpful. 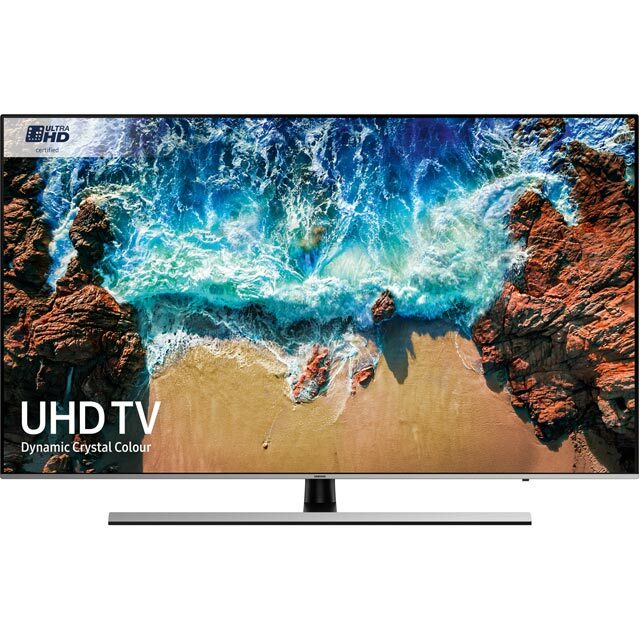 Ordered this TV as a upgrade to our existing 50” 4K Panasonic TV. Have not been disappointed at all, the set itself looks amazingly sleek in its dark grey finish. The picture is truly brilliant and very accurate straight out the box which is a Panasonic trademark. The HDR really pops out the screen when watching a 4K Blu-Ray. Highly Recommended. My last TV was a Panasonic and I was pleased with that one, and this one is just as good. The settings are very easy to navigate and is simple and quick to setup. It comes with loads of great features built in and other streaming apps you can download. This is a fantastic TV for watching films, which shows films the way the filmmaker intended them to watch. On a fantastic picture! 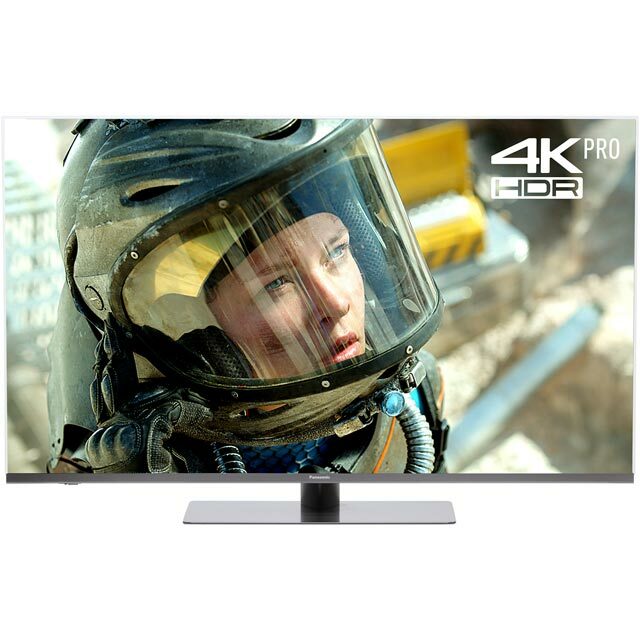 The 4K Pro HDR technology delivers an incredibly crystal clear picture that is rich and dynamic. Micro dimming technology improves the contrast by dimming individual sections of the TV screen which gives outstanding contrast expression. Bluetooth Audio Link connects easily to my bluetooth speaker which gives the TV brilliant sound. The TV's sound when watching films isn't great but for general TV watching it serves it purpose. The design of the TV is incredibly stylish, the Art Glass frame around the FX750 gives it a minimalistic look. The TV has 3 USB and 4 HDMI ports and built in Wi-Fi. A full web browser complements a wide range of web apps. The Panasonic Remote TV app allows you to stream pictures, 4K videos and music straight to the TV without using cables. The TV has a range of Apps like Smart TV. Netflix, Amazon Prime, youTube and there are plenty that can be downloaded. It is a shame that it doesn't have Now TV and that you aren't able to download this app. This Panasonic also features Freeview Play. It combines catch-up TV, on-demand services and live television to make it easy to watch what you want, when you want. 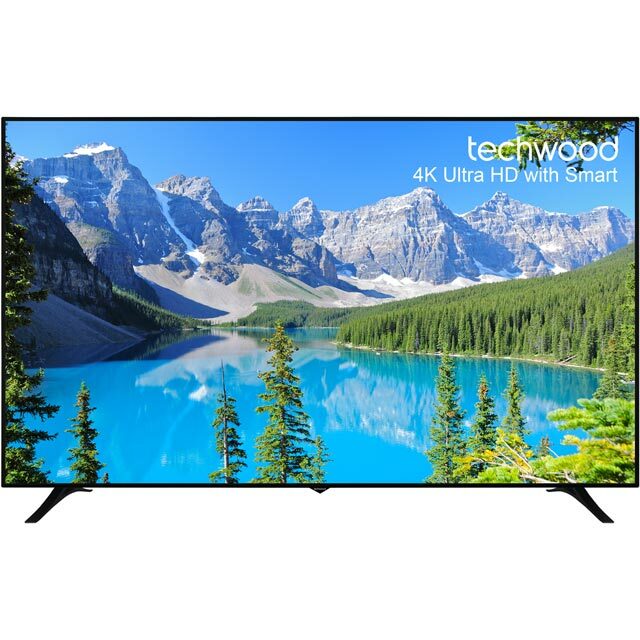 This is a fantastic TV that is really easy to use and delivers stunning picture quality. A customer who has been given a product to use and keep in exchange for an honest review.